It was the worst catch imaginable for a fishing crew off the coast of Provincetown, Massachusetts when they hauled up a human body in their nets. That’s one catch nobody wants to make. The crew reported the grizzly discovery to the US Coast Guard around 4:35 am, according to the Boston Globe. Apparently they could barely tell whether it was a body, let alone make an identity. Although an official announcement is still pending regarding the identity, some reports have speculated that it could be a member of a crew that went down near the area in November. Three friends went missing on board a 23-foot Wellcraft named Dad Sea Cave after leaving Sandwich on Nov 8. 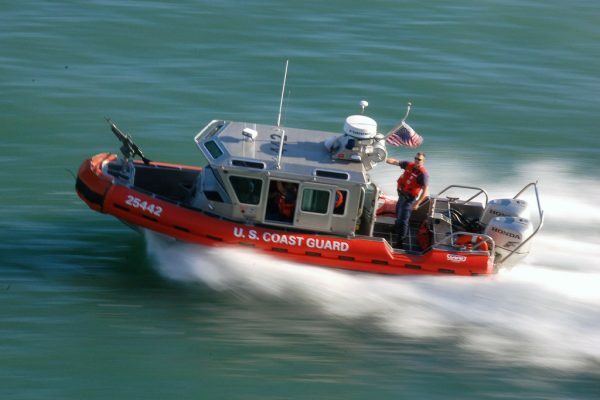 The Coast Guard searched for three days but were unsuccessful. Another possibility is that it could be the captain of a scallop boat that went down with his ship in 2012, according to South Coast Today. To add yet another twist to the story, the boat that discovered the body is owned by a New Bedford fishing mogul Carlos Rafael known locally as “The Godfather” who is currently facing criminal charges for falsifying fishing records and smuggling cash overseas, according to the Gloucester Times.